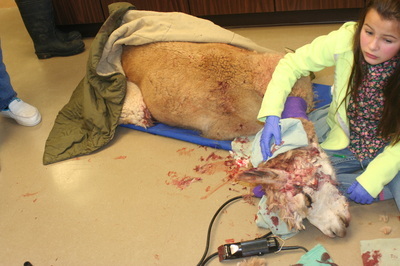 Early Friday morning, January 9th, 2015, Brooklyn the alpaca, her baby, and her female pen-mate were attacked by three dogs: two Great Pyrenees and one Yellow Labrador. The alpacas must have been terrified, as they ran through fences which normally held them in without problems. Tufts of hair were found on all the sharp projections. 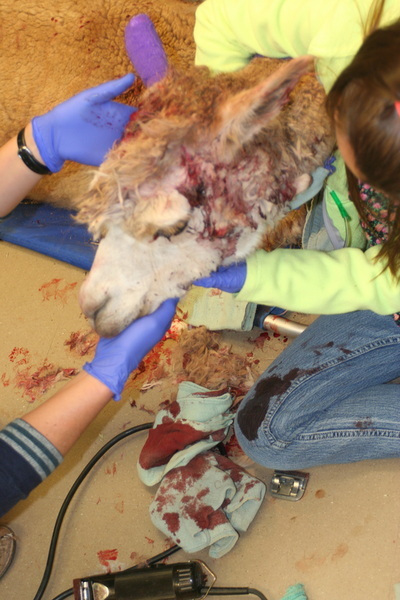 Her owners were out of town on a long trip, and the neighbors were the first to see the carnage. The dogs were still there, dragging the baby's carcass across a field, and after taking pictures the neighbor fired a shotgun to scare the dogs away. The sheriff was called as well as our clinic. When Dr. Susie arrived, there were torn fences, blood, and hair everywhere. The one alpaca in the pen still alive(Brooklyn) was lying with her bloodied head down. 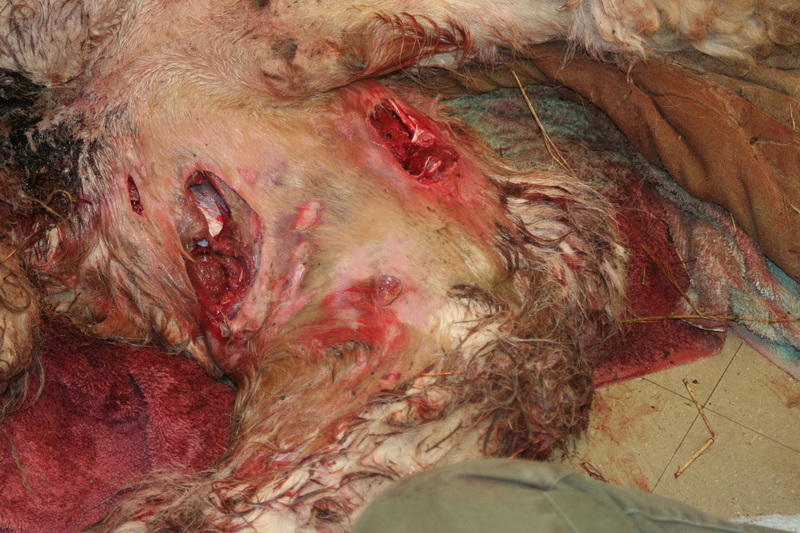 Her head was covered in wounds, and she also had punctures and tears on her thigh and around her tail. The other adult alpaca was lying about 30 feet away on the other side of a fence. 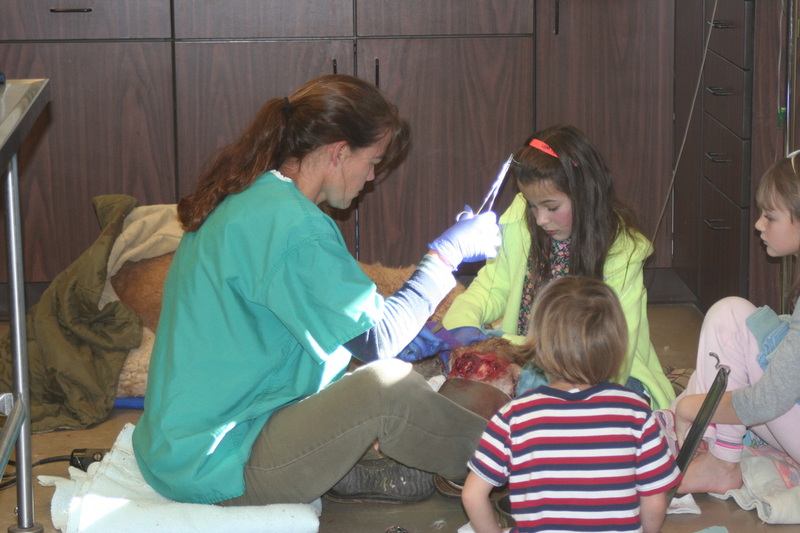 She had bled to death after her femoral artery was severed when most of her thigh was ripped out. 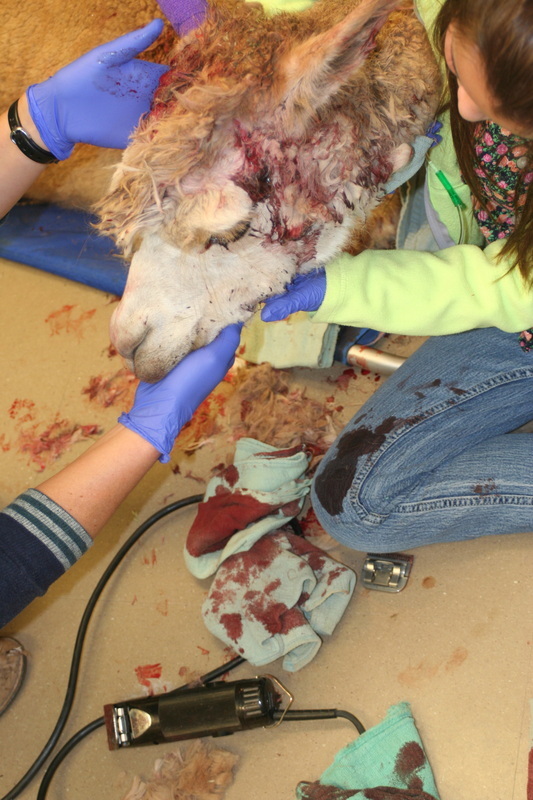 The baby alpaca, or cria, was lying several hundred feet away in another field. Most of one leg was chewed down to the bone, and he had obviously been drug around. 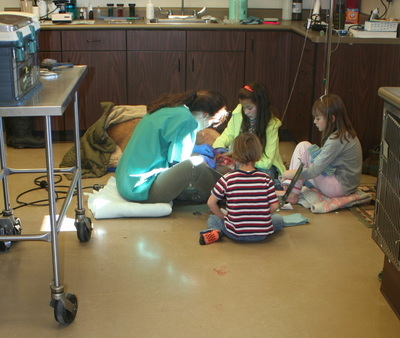 Brooklyn was brought back to the clinic and spent the day laying on the floor in our treatment room. The kids put pressure on bleeding wounds and shaved and cleaned them until Dr. Susie could fix them up. An IV catheter was put in Brooklyn's neck, and she was given many liters of fluid to combat the shock and blood loss, as well as painkillers, anti-inflammatories, and antibiotics. She was in very rough shape. At the end of the day and the end of the repairs, she was moved into a run to spend the night. 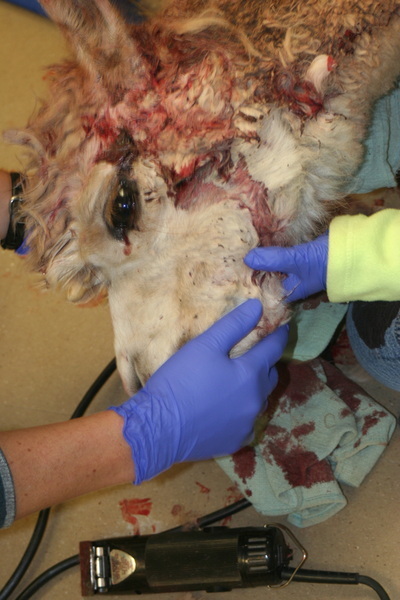 Every day her wounds were flushed, she was given fluids and medications, and her wounds treated with a therapy laser. She was a fighter and very sweet through it all. Sadly, she died five days after the initial attack. 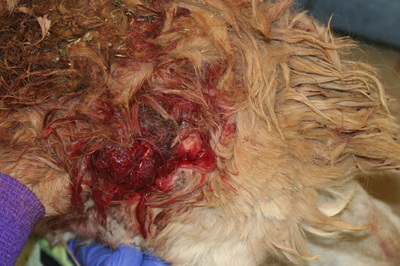 This is just one example of the problems caused by dogs running loose. We get to see both sides of these stories. We knew two of the dogs involved in the attacks, and they seemed to be very nice dogs. 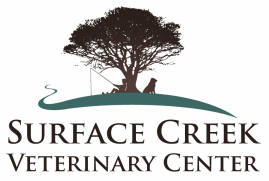 When they are out running loose and join up with other dogs, their behavior changes. We all know this as the "pack mentality." Another risk is the dogs that come in after being hit by cars or shot and wounded. Most livestock owners won't bother with catching dogs harassing their animals, they will just shoot them, and they are entirely within their rights to do so. 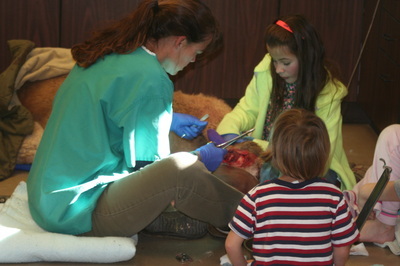 The damage caused by the dogs and the wounded dogs are entirely preventable situations. When acquiring a dog and becoming a pet owner, there are responsibilities that go along with ownership that are of paramount importance and cannot be ignored.